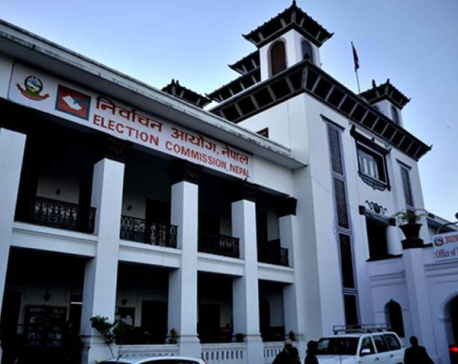 KATHMANDU, May 18: The Election Commission (EC) published election results for more than two-thirds of local units on the fourth day of vote counting on Thursday. The data acquired from polling officers on the ground shows that the winners have already been declared at least in 209 of the total 283 local units which went to polls in the first phase on May 14. The counting of votes is still underway in the remaining 63 local units. Of the total local units where counting has been completed so far, CPN-UML has won chiefs and other positions in 85 local units followed by the ruling Nepali Congress (NC) which has won chiefs and other positions in 81 local units while another ruling party, the CPN (Maoist Center) has won 39 posts. Independent candidates have won the election for chiefs of three local units. Naya Shakti, Rastiya Janamorcha Nepal and Rastriya Prajatantra Party emerged victorious in the remaining local units. Even as the main opposition UML maintained a small lead on the fourth day of vote counting, the overall results of May 14 elections point to a mixed outcome with three major parties sharing most of the votes. The EC estimates that it could take at least a week to complete the vote counting for the first phase of polls. Vote counting in four metropolitan cities - Kathmandu, Lalitpur, Bharatpur and Pokhara - has been sluggish due to the limited vote counting centers. The EC has been criticized for the slow vote counting. “We are aware about the peoples’ expectations. But large ballot papers, frequent disputes among the parties and multiple symbols have slowed the vote counting,” said EC Spokesperson Surya Prasad Sharma. Following the widespread criticism, election officers in Kathmandu have started to count the votes at 11 different counting centers.